Need Help Entering Canada with a DUI? Canadian immigration lawyer focused on Canada DUI entry from USA. We offer free comprehensive consultations (unlike most companies who demand a retainer before assessing your options). The Canada-United States border is the longest international border in the World at 5,525 miles. There are more than 100 land border crossings between Canada and the USA, although not all of these are open 24 hours a day 7 days a week year round. Washington State has 13 land border crossings along the 427 miles it shares with British Columbia. The most popular of these crossings are the four that primarily serve the Vancouver-Seattle area; Peace Arch, Blaine Surrey, Lynden Aldengrove, and Sumas Huntingdon. These ports of entry handle most of the more than 30,000 vehicles that cross the Washington border daily, and can have wait times as long as 3-4 hours during peak traffic periods. The other border crossings are Point Roberts Boundry Bay, Nighthawk Chopaka, Oroville Osoyoos, Ferry Midway, Danville Carson, Laurier Christina Lake, Frontier Paterson, Boundry Waneta, and Metaline Falls Nelway. If you have a WA DUI, you may be interested in our article about going to British Columbia with a Washington State DWI. Idaho has two land border crossings along the 45 miles it shares with British Columbia: Porthill Rykerts and Eastport Kingsgate. If you have an Idaho DWI, you might want to read our guide to Canadian DUI travel from Idaho. Montana has 13 land border crossings along the 545 miles it shares with British Columbia, Alberta, and Saskatchewan. The most popular of these crossings are by far the three major trucking routes of Roosville Grasmere, Piegan Carway, and Sweetgrass Coutts. The other border crossings are Chief Mountain, Del Bonita, Whitlash Aden, Wildhorse, Willow Creek, Turner Climax, Morgan Monchy, Opheim West Poplar River, Scobey Coranach, and Raymond Regway. If you have ever been charged with drunk driving in Montana, our Montana DUI and Canadian border article might be of interest. North Dakota has 18 land border crossings along the 310 miles it shares with Saskatchewan and Manitoba. The most popular of these crossings are Portal North Portal, Peace Garden, Neche Gretna, and Pembina Emerson. The other border crossings are Fortuna Oungre, Ambrose Torquay, Noonan Estevan, Northgate, Sherwood Carievale, Antler Lyleton, Westhope Coulter, Carbury Goodlands, St. John Lena, Hansboro Cartwright, Sarles Crystal City, Hannah Snowflake, Maida Windygates, and Walhalla Winkler. If you have an ND intoxicated driving violation on your record, it may be worth reading our article on getting into Canada with a North Dakota DWI. Minnesota has eight land border crossings along the 547 miles it shares with Manitoba and Ontario. The most popular of these crossings are Warroad Sprague, Baudette Rainy River, International Falls Fort Frances, and Grand Portage Pigeon River. The other border crossings are Lancaster Tolstoi, Pinecreek Piney, Roseau South Junction, and Angle Inlet. Michigan has four land border crossings along the 721 miles it shares with Ontario, all of which are extremely busy (top 10 highest volume crossings between the two countries). These crossings are Sault Ste. Marie International Bridge, Blue Water Bridge, Detroit Windsor Tunnel, and Ambassador Bridge. New York has 17 land border crossings along the 445 miles it shares with Ontario and Quebec. The most popular of these crossings are the Buffalo Niagara Falls area (Peace Bridge, Rainbow Bridge, Whirlpool Rapids Bridge, and Lewiston-Queenston Bridge), as well as Thousand Islands Bridge, Seaway Bridge (Massena Cornwall), and Blackpool Champlain. The other crossings are Ogdensburg-Prescott International Bridge, Fort Covington Dundee, Trout River, Jamieson Line, Chateauguay Herdman, Churubusco Franklin, Cannon Corners Covey Hill, Mooers Hemmingford, Overton Corners Lacolle, and Rouses Point. Vermont has 15 land border crossings along the 90 miles it shares with Quebec. The most popular of these crossings are the heavy truck routes of Highgate Springs Saint Amand, and Derby Line Stanstead. The other crossings are Alburg Noyan, Alburg Springs Clarenceville, Morses Line, West Berkshire Frelighsbrug, Richford East Pinnacle, Richford Abercom, East Richford Glen Sutton, North Troy Highwater, Beebe Plain Stanstead, Derby Line Interstate 91, Norton Stanhope, Canaan Hereford, and Beecher Falls East Hereford. New Hampshire only has one land border crossing along the 58 miles it shares with Quebec, the Pittsburg Chartierville Border Crossing. Maine has 24 land border crossings along the 611 miles it shares with Quebec and New Brunswick. The most popular of these crossings are Madawaska Edmundston, Houlton Woodstock, and Calais St. Stephen. The other crossings are Coburn Gore Woburn, Armstrong-Jackman Ste Theophile, Sainte Aurelie, Sainte Zacharie, St Juste, Saint Pamphile, Estcourt Station, Fort Kent Clair, St Leonard-Van Buren Bridge, Hamlin Grand Falls, Limestone Gillespie Portage, Fort Fairfield Perth-Andover, Easton River de Chute, Bridgewater Centreville, Monticello Bloomfield, Houlton Richmond Corner, Orient Fosterville, Forest City, Vanceboro Ste Croix, Milltown Saint Stephen, and Ferry Point Crossing Calais FDR Bridge. The hours of operation for each border crossing are available on this Wikipedia page. Although most people travel between Canada and the United States by vehicle or airplane, there are a number of ferry crossings between the countries. You can travel between Ketchikan/Juneau AK and Prince Rupert BC via Alaska Marine Highway or between Whittier AK and Prince Rupert BC via AquaTrain. You can cross between Seattle, Port Angeles, or Bellingham WA and Victoria BC via Clipper Navigation or Blackball Transport, or between Anacortes WA and Sidney BC via Washington State Ferries. You can cross between Marine City MI and Sombra ON via Bluewater Ferry, between Algonac MI and Walpole Island ON via Walpole-Algonac Ferry, or between Detroit MI and Windsor ON via Detroit-Windsor Truck Ferry. On Lake Erie you can ferry between Sandusky OH and Pelee ON via Ontario Ferries. You can cross the St. Lawrence River between Cape Vincent NY and Wolfe Island ON via Cape Vincent-Wolfe Island Ferry. You can cross between Eastport ME and Deer Island NB via Deer Island-Eastport Ferry. And lastly, you can travel between Portland ME and Yarmouth NS via The CAT high speed car ferry. There are a large number of airports in Canada with direct commercial flights or occasional chartered flights from the USA. The following Canadian airports serve as a "port of entry" into Canada for Americans and may have a Canada Border Services Agency person available, although IRCC officials are not always available at all airports. If you are traveling to Canada with a DUI and plan on applying for a Canadian Temporary Resident Permit at your Port of Entry (POE), please note that many of these border crossings do not accept TRP applications. 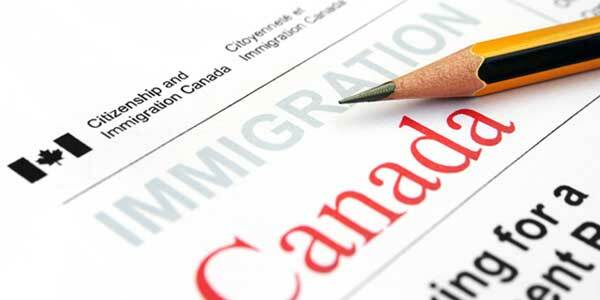 If you have a DUI arrest or conviction on your record and need to enter Canada, call us now or fill out this form! 24 Hour Response Time! © 2019 Canada DUI Entry. All rights reserved. Disclaimer: All info on this website is intended to be of a general nature and does not constitute legal advice!